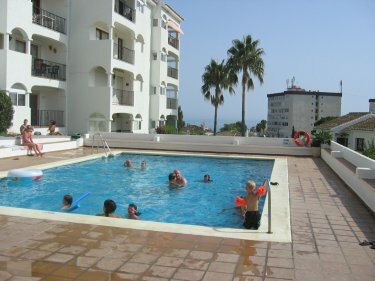 Attractive 2-bed, 1-bath property with community pool located close to the popular fishing village of La Cala. 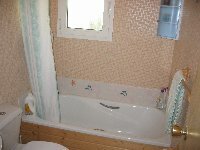 Property has 2 bedrooms, 1 with double bed and the other with 2 single beds. 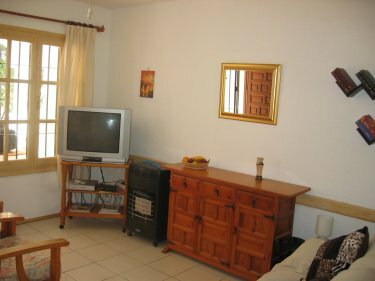 Full kitchen with fridge/freezer, cooker, microwave and washing machine etc. Large elevated terrace equipped with garden furniture for al-fresco dining. 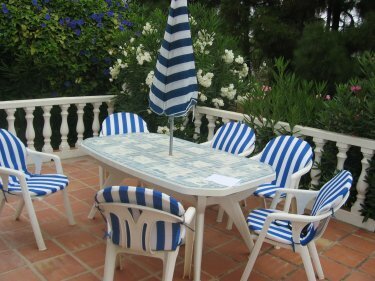 Iron and ironing-board is provided along with bed linen and towels but not beach towels. The living room has TV and DVD player. Short walking distance to the nearest supermarket. 15 minutes walk to La Cala beach and countless restaurants and bars. Close to several of the best golf courses on the Costa Del Sol, also the popular Hipodromo horse racing course if you feel like a flutter. Street markets in Fuengirola, Calypso and La Cala on Wednesdays and Saturdays. 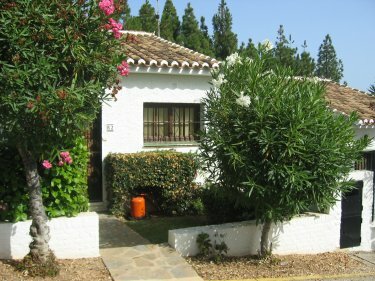 Malaga airport 30 minutes away, 10 kms from Fuengirola, 16 kms from Marbella and Puerto Banus. The bus service from La Cala village will bring you to Marbella and Fuengirola. There is a train connection in Fuengirola to Malaga Airport.